Of the recent bachelor's degree recipients included in the Career Destinations survey, 11% indicated they were currently pursuing further education in graduate or professional school. 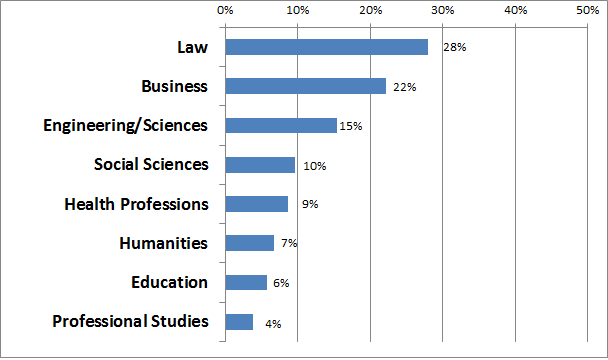 As the following graph shows, 28% are pursuing professional degrees in law. Another 22% are pursuing degrees in business. Other popular fields are engineering, science and social science.